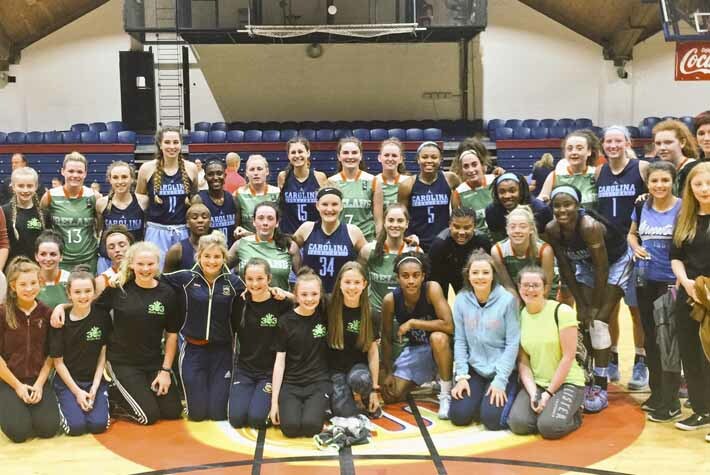 Ireland pushed the UNC Tar Heels all the way in a highly competitive match up at the National Basketball Arena. The game is sure to generate interest for their second meeting in Cork this Saturday as the big names of US College basketball were well matched by an Irish performance including a stand-out display from Grainne Dwyer and assured debuts for a number of underage players included a 10-point haul from U18 International Claire Melia. UNC looked in control as they went 9-2 up with the help of FIBA Americas U18 Gold Medallist Paris Kea before the home side rallied with a couple of big three-pointers from Michelle Clarke. Mark Scannell threw in Claire Melia and Sarah Kenny and the underage starlets got straight to work on pressing high up the court. Anything that broke the press still had some robust defence from Grainne Dwyer to contend with and her three-pointer reduced the deficit to 26-18 for the first quarter. The crowd were in full voice as Mark Scannellâs side went after UNC in the second quarter. 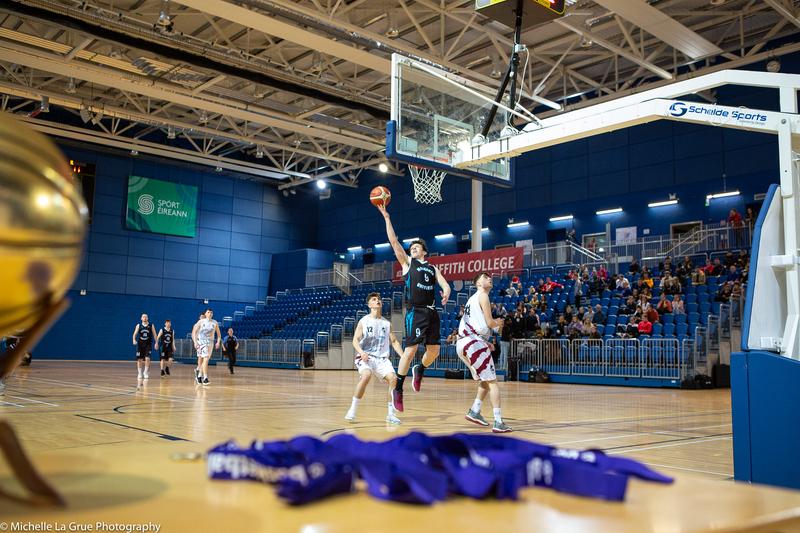 Amy Waters restarted the scoring before Michelle Clarke netted another three, Grainne Dwyer became the first halfâs top scorer with 11 points and Sarah Kenny left just three points between the sides after 18 minutes. Alyssa Okoene had the right response for the Tar Heels - the rangy 6â3 forward had seven points of her own to stretch out the lead to 39-29 for the half. Paris Kea was keeping the Irish at arms length in the third quarter but there was only seven points between the sides after 25 minutes of basketball. Aine McKenna ghosted into the paint for a tidy finish after an âand-oneâ play from Waters and Claire Melia, who turned 17 last month, had her own 6-0 run to keep UNCâs lead to 53-46 with ten minutes left. Aine OâConnor stepped up in a big way in the third quarter to bring the lead back to seven points and it took a huge response from the tourists to eventually pull clear. Destinee Walker and 2016 ACC Freshman of the Year Stephanie Watts poured in back-to-back-to-back triples to finally put the result beyond doubt. Ireland: A. McKenna* (3), D. OâLeary*, M. Clarke* (14), G. Dwyer* (17), A Waters (5), A Whelan, L Scannell, S Deegan (1), A OâConnor (8), S Kenny (2), C Melia (10), A Maguire.